Rock star tutu, punk rock birthday tutu, Halloween tutu. 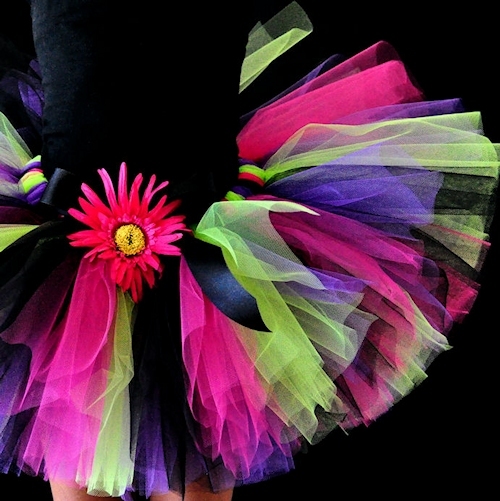 Black, Fuchsia, Apple Green and Purple make the Punk Rock Girl tutu perfect for the girl who wants to make a statement! A great tutu for a rock star themed birthday party, or punk rock Halloween costume. Tutu includes a satin bow at the waist and optional flower clip and stretch headband.